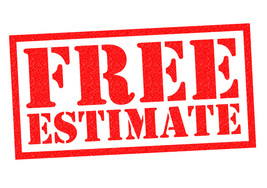 Do you offer onsite estimates or inspections? A comprehensive inspection is always the first step in making the right decision on your new roof or repair. Together with your estimate - we prepare a detailed condition report on all of your roofing components for you and your insurance company. How do I know when it is time to replace my asphalt roof? Most asphalt roofs will last anywhere from 20-25 years depending on how many layers of shingles there is and whether adequate ventilation is present. If the existing roof has another layer of shingles underneath and is approaching 20 years or more - it is very likely that the time has come for a new roof. Shingles that are beginning to curl or buckle may also indicate the time has come to replace your roof. Shingles on the side of your house receiving direct sunshine are usually the first to start curling and means they have likely reached the end of their useful life. Damaged or missing shingles can also be a red flag for roof replacement. Roof valleys can be especially prone - as this is the area carries rain and melt water to the gutters. Compromised roof valleys can become the source of serious leaks. Asphalt shingles tend to lose more and more granules as they near their life expectancy. Darker or inconsistent roof colour may be another sign that shingle granules are wearing away. A roof feels springy or spongy when you walk on it - may indicate moisture damage to the roof boards. Check your attic for any signs of leaks or moisture. Tar or roofing cement flashing should be replaced with a metal flashing system to provide a long-term water tight solution. What type and how much insurance coverage do you carry? How long will my roofing project take to complete?